Edmonton event branding and design. Event logos, invitations, and marketing material. Event branding is about more than the invitation, it’s about the experience. Whether a non-profit gala, a festival, a fundraiser, or a corporate bash, the underlying principle of any event is consistency. The design goal is to capture and communicate the essence of the event and the experience you’re creating with it. While there’s often an organization behind the event that’s woven into it, the best, most effective events have brands of their own: custom logos, colours, fonts, and themes. Whether your event is building brand loyalty or soliciting donations, event design reinforces brand messaging and compels participation. 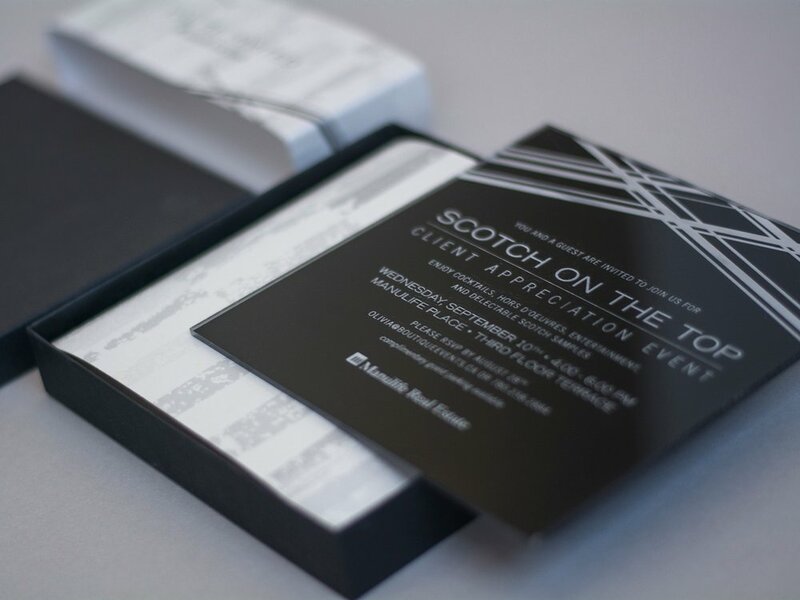 From invitations to signage and banners to swag, event branding takes your event to the next level.